Crux's SWRVL-54 interface ensures that you can keep the steering wheel audio controls and the factory speaker system in your Volvo when you replace the factory radio. Connect this interface to the wires on your new stereo's wiring harness, and you've covered the power, ground, and factory speaker connections for your new stereo. You'll only be able to retain your steering wheel audio controls with a compatible car stereo made by Alpine, Blaupunkt, Clarion, JVC, Kenwood, Pioneer, or Sony. No other brands are currently compatible. Check the Details tab to see if steering wheel audio controls are retained in your vehicle. The SWRVL-54 interface also offers the reverse, illumination, and Vehicle Speed Sensor (V.S.S.) outputs that you'll need if you're installing a navigation receiver. The Crux adapter works with either amplified or non-amplified factory systems. Easy to install, works just like it's supposed to. 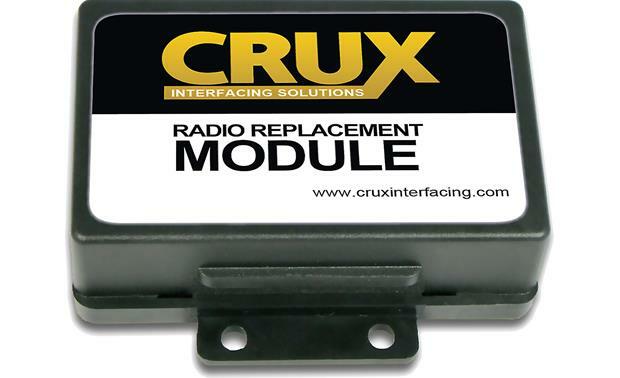 Volvo Radio Replacement Interface: The CRUX SWRVL-54 is a radio replacement interface for select 1999-2012 Volvo vehicles. It facilitates the integration of an aftermarket radio to enable retention of select factory features when replacing a factory installed radio in select Volvo cars. This interface is also pre-programmed for retention of steering wheel controls. Compatibility: The CRUX SWRVL-54 is supported by the following 1999-2012 Volvo vehicles. *Compatible with CAN based vehicles only (2nd Generation / Type P26). **Not compatible with LIN bus and Fiber-optic systems; please verify prior to installation. For Amplified and Non-Amplified Applications: The CRUX SWRVL-54 can be used in vehicles with or without a factory amplified audio system. The SWRVL-54 will retain the factory amplifier with fader capability and turn-on. Steering Wheel Control Retention: The CRUX SWRVL-54 comes pre-programmed to retain the factory steering wheel controls in your vehicle. Two steering wheel control (SWC) harnesses are included. 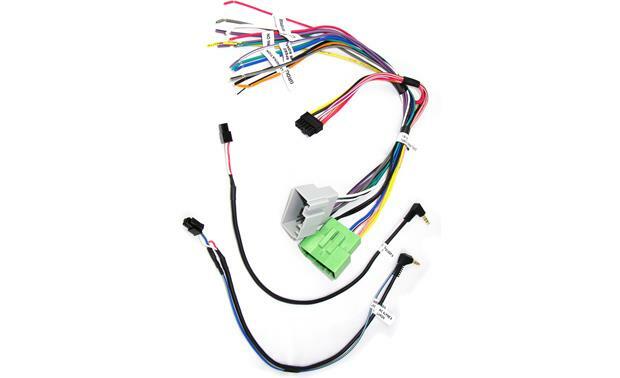 The SWC harness (Option A) consists of a right-angle 3.5mm connector and blue/yellow wire; you'll only use the connection type your aftermarket radio is equipped with. The SWC harness (Option B) consists of only a right-angle 3.5mm connector. There is also steering wheel control (SWC) adapter for aftermarket radios with a 3-wire steering wheel control input. 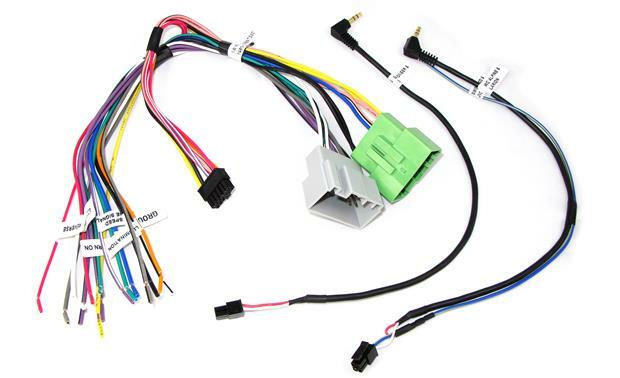 The SWRVL-54 will work with any of the listed aftermarket radio brands that feature a steering wheel control input using the appropriate harness, connector, and dip-switch settings (see owner's manual for appropriate settings). Navigation Outputs: The CRUX SWRVL-54 radio replacement interface module provides a VSS (vehicle speed sense) and a Reverse Gear output to make installing an aftermarket Navigation radio simpler and less time consuming. will it fit my volvo s60d5 my2008? I have HU-850 Premium audio 13speakers. I bought Pioneer Avh-2300nex to replace with it. I'd like to keep factory amp and steering wheel control functional. Crux say it will fit upto 2004 S60. Please advice. How does this connect to Kenwood units? All instructions say to use the blue/grey wire but none say how to actually attach it to the unit. 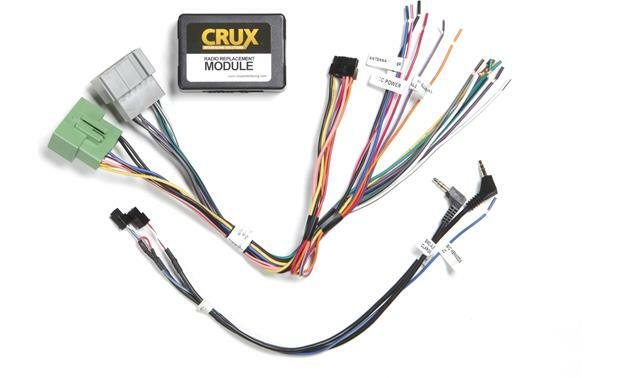 Searches related to the CRUX SWRVL-54 Wiring Interface Connect a new car stereo and retain the factory amp and steering wheel audio controls in select 1999-2012 Volvo models.